Drastic MediaReactor WorkStation 6.1.285 (x64) . MediaReactor Workstation is a direct plugin version of Drastics MediaReactor file translation system. Rather than having to use a separate translation step, the artist can work with incoming footage directly in their preferred creative software. Contemporary production workflows are able to access an ever-increasing choice of acquisition, production, mezzanine and output devices and formats. Unfortunately, the proprietary nature of these media tools often leads to time consuming and potentially lossy translations of content, simply to allow other creative tools to access them. MediaReactor Workstation was designed to alleviate this problem. MediaReactor Workstation provides access to the widest range of file formats of any single plugin package. It specializes in high quality conversion on the fly, on everything from ancient OMF JPEG to the latest camera acquisition formats from Weisscam, Phantom, Sony and Arri. Coupled with its incredible range of file and codec support, MediaReactor Workstation provides a group of plugins that make the content directly compatible with most major editing and creative software on Mac and ShiChuang systems. MediaReactor Workstation is a direct plugin version of Drastic's MediaReactor file translation system. Rather than having to use a separate translation step, the artist can work with incoming footage directly in their preferred creative software. MediaNXS offers a comprehensive range of capture, playback, import and export features for the digital intermediate workflow. Integrate easily with industry standard automation and controllers, and control external VTRs for pull-ins and laybacks. Use onscreen monitoring including signal analysis tools to complement your hardware I/O. Create the files you require from collaboration to delivery with our extensive broadcast and production file format support. MediaNXS software provides a bridge between the digital intermediate workflow and the real world. User directed, time of day, or set duration record directly to your preferred file type. Edit in Adobe Premiere or Avid Media Composer while still ingesting. Import existing files for playback. Create low resolution proxy files via export for logging and editing, and generate full resolution conforms for downstream processing and delivery. Maintain project-based media pools and settings. Output via Drastics robust VGA preview for passthrough and output video plus a range of signal analysis tools (vectorscope, waveform monitor, and histogram), with built in metadata display. MediaReactor For QuickTime (MR4QT) is a QuickTime component version of Drastic's MediaReactor file translation system. MR4QT integrates directly into Apple's QuickTime player and API system to provide extended read and write capabilities. MediaReactor For QuickTime is a QuickTime component version of Drastic's MediaReactor file translation system. MR4QT integrates directly into Apple's QuickTime player and API system to provide extended read and write capabilities. On the read side, it adds support for sequences like DPX, DNG, KRW, CDX and VRW, as well as broadcast file formats like MXF, GXF, LXF, WebM, SWF, Phantom Cine and MLV/RAW. 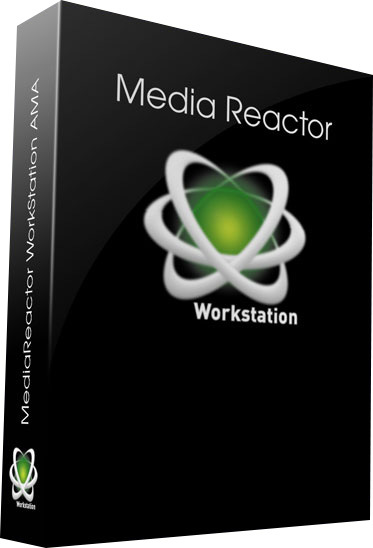 MediaReactor Workstation is a direct plug-in version of Drastic's MediaReactor file translation system. Rather than having to use a separate translation step, the artist can work with incoming footage directly in their preferred creative software.